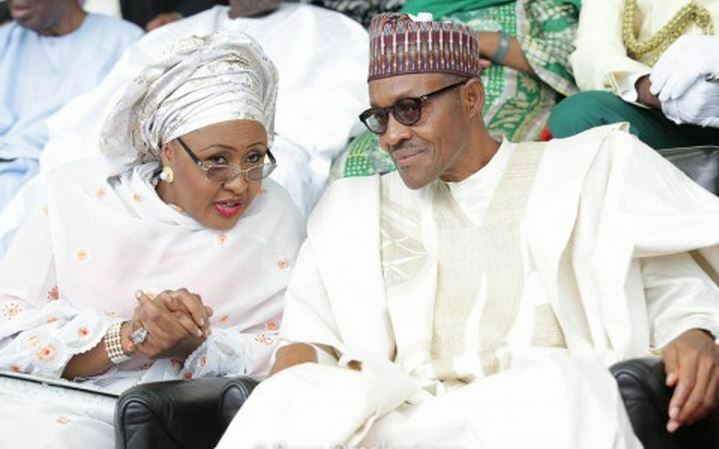 Nigeria’s First Lady, Aisha Buhari has offered an insight into the alleged failure of President Muhammadu Buhari administration to meet the expectations of Nigerians. Speaking on Tuesday at a conference organized by Project 4+4 in Abuja, Mrs. Buhari revealed that two men she refused to name were responsible for the perceived failure of the Buhari administration. She claimed the two men had constituted themselves into the “clogs” in the wheel of the Buhari government thus holding back the administration from living up to expectations. The First Lady who said she believed her revelation would not go down well with Presidency officials at the event, including her own aides, however stated that she felt compelled to speak because the Buhari administration could do more than it has done in the last three years. She said the government has achieved a lot but could have achieved more or even achieved all it has in one year but for two people in government who will never allow things to move fast. ” I have realized that Sen Babafemi Ojudu, SA political to the president, and Dr. Hajo Sani, my aide Sajo and wife of the Vice-President Mrs Osinbajo are not comfortable with my saying this and want me to confine myself to my prepared speech but we must say the truth,” she said with emotions. She also expressed disappointment in some aides or friends of the President who could have helped to get rid of the men, but who betrayed her trust by going to beg for favours from the men at night instead of fighting for good governance. She urged Nigerian women to rise up and fight for their rights.